Tulsa International Airport (IATA: TUL, ICAO: KTUL, FAA LID: TUL) is a civil-military airport five miles (8 km) northeast of downtown Tulsa, in Tulsa County, Oklahoma. It was named Tulsa Municipal Airport when the city acquired it in 1929; it got its present name in 1963. The 138th Fighter Wing of the Oklahoma Air National Guard is based at the co-located Tulsa Air National Guard Base. The airport is the global maintenance headquarters for American Airlines. The Council Oak Senior Squadron and Starbase Composite Squadron of Civil Air Patrol meet on the field, with Council Oak at FBO Sparks Aviation and the Starbase squadron meeting at the Oklahoma Air National Guard Base on the Northeast side of the field. Additionally, two Civil Air Patrol aircraft are based at TUL, a Cessna 172 and Cessna 182. During World War II Air Force Plant No. 3 was built on the southeast side of the airport, and Douglas Aircraft manufactured several types of aircraft there. After the war this facility was used by Douglas (later McDonnell Douglas) and Rockwell International (later Boeing) for aircraft manufacturing, modification, repair, and research. Spirit AeroSystems currently builds Commercial Airline parts for Boeing aircraft in part of the building and IC Bus Corporation assembles school buses in the other part. Spirit AeroSystems builds Boeing Wing and floor beam parts and Gulfstream Wing parts in a facility on the east side of the airport, just north of runway 26. The Tulsa Air and Space Museum is on the northwest side of the airport. Richard Lloyd Jones Jr. Airport serves as a reliever airport. Duncan A. McIntyre, an early aviator and native of New Zealand, moved to Tulsa in 1919. His first airport was located at Apache and Memorial and opened August 22, 1919. He moved and established a private airport on an 80-acre tract at the corner of Admiral Place and Sheridan Avenue. McIntyre Field had three hangars to house 40 aircraft and a beacon for landings after sundown. McIntyre evidently closed his airport during the 1930s and merged it with R. F. Garland, a Tulsa oil man and owner of the Garland Airport at 51st and Sheridan Road for $350,000. He ran the airport and became the president of the new venture. This airport would later become the Brown Airport (after a number of owners and names including the commercial airport before it moved to 61st and Yale). In 1940, McIntyre accepted a position with Lockheed Corporation and moved to California. Charles Lindbergh landed at McIntyre Field on September 30, 1927. He had been persuaded to visit Tulsa by William G. Skelly, who was then president of the local Chamber of Commerce, as well as a booster of the young aviation industry. In addition to being a wealthy oilman and founder of Skelly Oil Company, Skelly founded Spartan Aircraft Company. Lindbergh had already landed at Oklahoma City Municipal Airport, Bartlesville Municipal Airport and Muskogee's Hatbox Field. All of these were superior to the privately owned McIntyre Field. Lindbergh pointed this out at a banquet given that night in his honor. The initial municipal airport was financed with a so-called "stud horse note", a promissory note like those used by groups of farmers or horse breeders who would collectively underwrite the purchase of a promising stud horse. The note would be retired with the stud fees paid for use of the horse. In the case of the Tulsa airport, the note would be paid from airport fees. Using this vehicle, Skelly obtained signatures from several prominent Tulsa businessmen put up $172,000 to buy 390 acres (160 hectares) for a municipal airport. It opened July 3, 1928. The city of Tulsa purchased the airport, then named Tulsa Municipal Airport, in 1929, and put its supervision under the Tulsa Park Board. Charles W. Short was appointed Airport Director in 1929, and remained in this position until 1955. The first terminal building was a one-story wood and tar paper structure that looked like a warehouse. The landing strips and taxiways were mown grass. Still, it handled enough passengers in 1930 for Tulsa to claim that it had the busiest airport in the world. The Tulsa Municipal Airport handled 7,373 passengers in February 1930 and 9,264 in April. This outpaced Croydon Field (London), Tempelhof (Berlin), and LeBourget (Paris) for those months. Braniff Airways stopped at Tulsa on its original route between Chicago and Wichita Falls, and TWA stopped at Tulsa on its original route between Columbus and Los Angeles. Later in the 1930s, Tulsa became a stop on the American Airlines Chicago-Dallas route. In 1932 the city opened a more elegant Art Deco terminal topped with a control tower. Charles Short decorated the inside walls with a collection of early aviation photographs. This building served until Tulsa broke ground on a new terminal, designed by the firm Murray Jones Murray, in November 1958 and opened on November 16, 1961; on August 28, 1963, the facility was renamed Tulsa International Airport. In January 1928 Skelly bought the Mid-Continent Aircraft Company of Tulsa and renamed it the Spartan Aircraft Company. It first built a two-seat biplane, the Spartan C3 at its facility near the new airport. Later it would also build a low-wing cabin monoplane as a corporate aircraft, and the NP-1, a naval training plane used in World War II. In 1929 Spartan established the Spartan School of Aeronautics across Apache street from the new Tulsa airport to train fliers and support personnel. The Spartan School was activated by the U. S. Army Air Corps (USAAC) on August 1, 1939, as an advanced civilian pilot training school to supplement the Air Corps' few flying training schools. The Air Corps supplied students with training aircraft, flying clothes, textbooks, and equipment. The Air Corps also put a detachment at each school to supervise training. Spartan furnished instructors, training sites and facilities, aircraft maintenance, quarters, and mess halls. The 138th Fighter Wing of the Air National Guard was organized at the Tulsa Airport in 1940 as the 125th Observation Squadron, then renamed when it deployed overseas during World War II. It is still based at TUL. On January 4, 1941, the War Department announced that Tulsa would be the site of a $15 million plant. The Federal Government built Air Force Plant No. 3 on the east side of the airport. The plant was operated by Douglas Aircraft Corporation to manufacture, assemble and modify bombers for the USAAF from 1942 to 1945; production was suspended when World War II ended. The plant was reactivated in 1950 to produce the Boeing B-47 Stratojet and later the Douglas B-66 Destroyer. In 1960 McDonnell Douglas, the successor to Douglas Aircraft Corporation, continued to use the facility for aircraft maintenance. Rockwell International leased part of the plant to manufacture aerospace products. McDonnell Douglas terminated its lease in 1996. Boeing bought Rockwell International's aerospace business in 1996, and took over much of the facility for aerospace manufacturing. In 1946 American Airlines acquired two former Air Force hangars to start a maintenance and engineering base at Tulsa Municipal Airport. 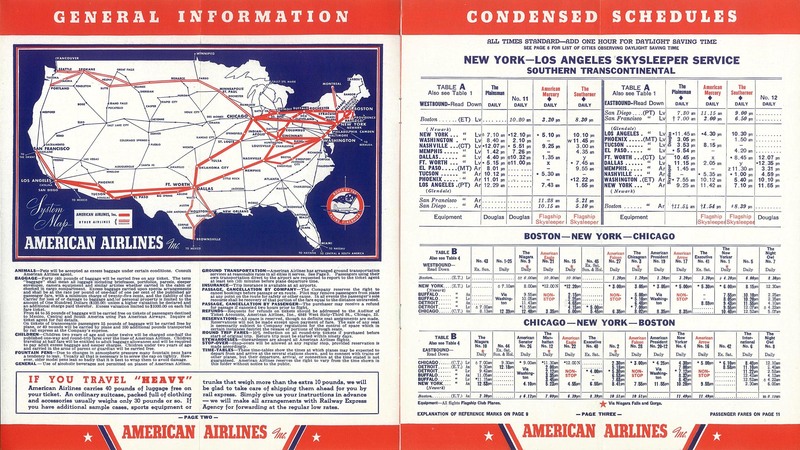 The April 1957 OAG shows 20 weekday departures on American, 18 Braniff, 6 Continental, 6 Central and 4 TWA. American had a DC-7 nonstop to New York, but westward nonstops didn't get past Oklahoma City, Wichita and Dallas. (In 1947, when transcon flights made at least one stop, American had nonstops from Tulsa to San Francisco and Los Angeles.) In 1979 the airport was also served by Frontier Airlines, Scheduled Skyways and Texas International Airlines. The Tulsa Air and Space Museum (TASM) was established in 1998 on the northwest side of the airport. The museum added the James E. Bertelsmeyer Tulsa planetarium in 2006. Allegiant Air began service in 2013 to Orlando. In 2015 Allegiant Air started flights to Las Vegas, Tampa Bay, and Los Angeles and in 2016 to Baltimore. Low cost carrier Frontier Airlines began service March 2018 to Denver. In April 2018, the airline began service to Orlando, San Diego, Washington D.C., and San Jose (CA). The San Diego flight ended on August 9, 2018. In 2010 a renovation of the 1960s era terminal began. The renovations were designed by Gensler and Benham Companies. Concourse B (home to Southwest and United) underwent a US$17.9 million renovation between September 7, 2010 and January 18, 2012, including major HVAC replacement along with the more noticeable design changes. These changes include sky lights and raising the somewhat low ceilings in the concourse area, improved passenger waiting areas and gate redesigns. The upgrades to Concourse B have been completed. Concourse A is currently in the process of renovations and upgrades (home to Allegiant, Delta, American and US Airways before its merger with American). In the year ending January 1, 2018 the airport had 108,503 aircraft operations, average 297 per day: 31% general aviation, 14% air taxi, 29% airline and 26% military. 180 aircraft are based at the airport: 30% single-engine, 13% multi-engine, 44% jet, <1% helicopter and 12% military. The airport has a smaller regional terminal with newly renovated concourses. Concourse A; which houses Allegiant, American and Delta; has 11 departure gates; A1 through A11. Currently, seven of those are in use. Concourse B; opened in 2012, has 10 gates, but only 7 have jet bridges; Southwest and United serve Concourse B. Although generally single-level, the entry section of the airport has separate departure and arrival curbs; the inner Arapahoe Drive for departures and outer Airport Drive for arrivals. Baggage claim carousels are located between these two driveways. TIA has 5 baggage carousels in service. The airport is served by Tulsa Transit bus 203, west toward downtown and south toward Memorial and 31st. TUL is the headquarters for all Maintenance and Engineering activities at American Airlines worldwide,[a] and is the maintenance base for the airline's fleet of Airbus A320, MD-80, Boeing 757, and Boeing 737 and some Boeing 767 aircraft a combined total of nearly 600 airplanes. It employs over 5,000 people, with the majority as licensed aircraft and jet engine mechanics. According to the company, it is one of the largest private employers in Oklahoma. While many other major domestic airlines (e.g., United, Northwest and US Air) were closing their maintenance facilities and outsourcing the work to major contractors in the early 2000s, American consolidated these activities at the MRO. The airline vowed to make the center as cost-effective as private centers and attract some of this work from other airlines as well. AA won major cost concessions from its own employees, pledged to relocate all its Boeing 737 heavy maintenance work to Tulsa, along with its work on the GE CFM-56 engine work. It also contains a wheel-and-brake overhaul facility and composite repair center. AA received $22 million in funding from Tulsa's Vision 2025 program that helped it buy machines, tooling and test equipment that only original-equipment manufacturers previously had. This funding helped it get contracts for maintenance work from Synergy Aerospace for F100 aircraft; Aeroserve, for JT8 engine work; GE Aviation Materials, for work on CF6-80 engines; Omni Air International and Vulcan Flight Management for work on Boeing 757 aircraft; and Aero Union for work on A300 landing gear. The MRO occupies about 260 acres (1.1 km2) and 3,300,000 square feet (310,000 m2) of maintenance "plant" at the Tulsa Airport. Each year, the base performs major overhaul work on about 80% of American's fleet. It also does aircraft maintenance for other carriers on a contract basis. Lufthansa Technik Component Services LLC (LTCS), a subsidiary of Lufthansa Technik AG, is headquartered at Tulsa Airport. LTCS provides maintenance, repair and overhaul (MRO) services to airlines. The Tulsa location includes the departments of Production and Product Development Engineering, the department of Finance and Controlling as well as Human Resources Management, Strategic Purchasing and a Customer Service team. The workshops and various department occupy an area of 72,000 square feet (6,700 m2). The Tulsa Airports Improvement Trust (TAIT) is tasked with financing, developing and maintaining Tulsa International Airport and R.L. Jones, Jr. Airport. TAIT also manages the Okmulgee Regional Airport in Okmulgee, Oklahoma, further to the south of Tulsa. TAIT is independent of the city, but all board members are appointed by the Mayor of Tulsa and confirmed by the City Council. Tulsa Airport Authority, in 2008, has begun a new Industrial Land Development project. Aerospace is one of the Oklahoma's largest industry clusters with 400 companies that directly or indirectly employ more than 143,000 people with a payroll of $4.7 billion and an industrial output of $11.7 billion. Tulsa is ranked 8th nationally for the size of its aerospace engines manufacturing cluster and 20th for its defense-related cluster. TUL's central location in the south is easily accessible by a multi-modal transportation network. With a total of 4,000 acres (16 km2) and 14,000 on-airport employees, Tulsa is a large center of aviation activity. Six sites totaling over 700 acres (2.8 km2) of real estate will be developed. Each of the sites can be divided into smaller lots to meet any organization's individual needs. The HP Enterprise Services (formerly EDS) Building hosting some of Sabre's datacenter servers is located at the Tulsa Airport. The company applied a reflective material on the roof to reduce heat gain, thereby reducing the air conditioning power consumption. In front of this building is a 6-foot sculptured penguin, given to the company as part of a local art campaign by the Tulsa Zoo. ^ American Airlines uses the acronym MRO to designate this facility. ^ a b Tulsa Preservation Commission "Transportation (18501945)." Retrieved January 14, 2011. ^ a b c Cantrell, Charles (July 14, 2008). "City and Airport Long Time Partnership Continues". GTR Newspapers. Retrieved July 14, 2008. ^ a b c "American Airlines Group Website. April 2014. Accessed July 27, 2014". Archived from the original on April 24, 2014. ^ John Pike. "Air Force Plant 3 - Tulsa, OK". ^ "ICBus - IC Bus - Leading School Bus Manufacturer". Archived from the original on January 31, 2011. Retrieved January 27, 2011. ^ a b c Jones, Kim. Aviation in Tulsa and Northeastern Oklahoma. 2009. ISBN 978-0-7385-6163-9. Available through Google Books. Retrieved January 17, 2011. ^ "Tulsa Airport Firms Merged". Tulsa World. October 31, 1931. ^ "Duncan McIntyre: Father of Tulsa Aviation". Tulsa Gal. March 23, 2010. Retrieved January 20, 2011. ^ a b c Cantrell, Chuck (May 14, 2007). "Lucky Lindy Lands and Tulsa Airport Takes Off". GTR Newspapers. Retrieved January 20, 2011. ^ "Davis-Monthan Aviation Field Register Tulsa, OK Municipal Airport". Davis-Monthan Aviation Field. Retrieved January 17, 2011. ^ Stewart, D. R. (May 3, 2003). "Hangar One Hangs It Up". Tulsa World. Archived from the original on October 14, 2012. Retrieved April 12, 2011. 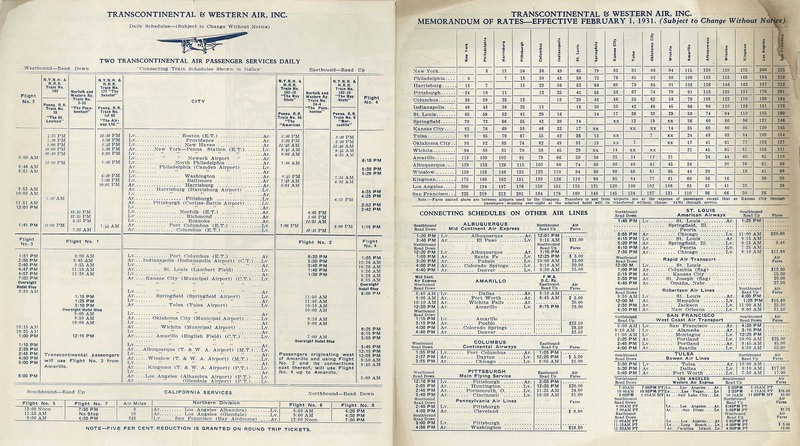 ^ "Braniff timetable, March 10, 1931". Timetableimages.com. Retrieved 8 February 2016. 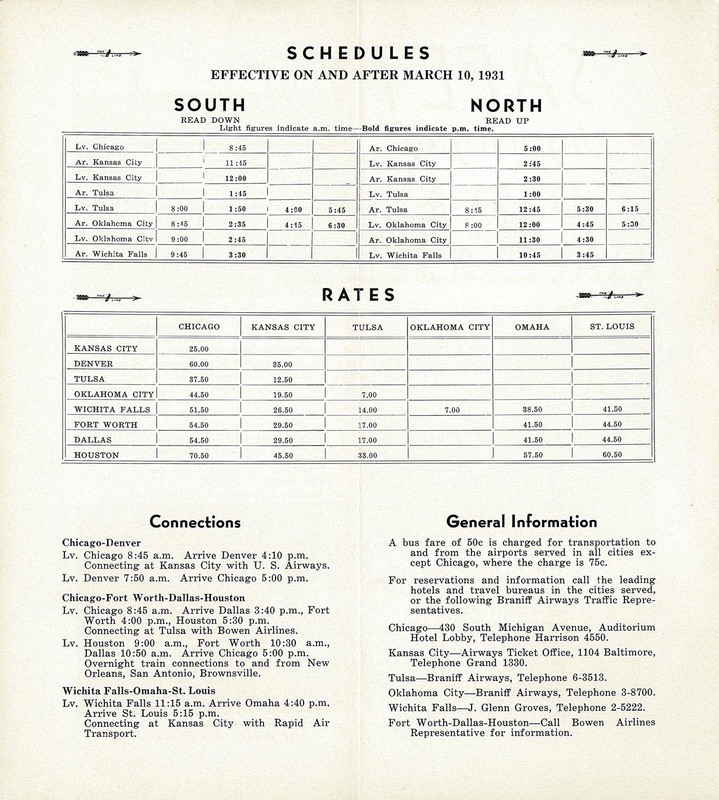 ^ "TWA timetable, February 1931". Retrieved 8 February 2016. ^ "May 1939 timetable". Timetableimages.com. Retrieved 11 November 2014. ^ "Robert Lawton Jones, FAIA Tulsa Foundation for Architecture". Archived from the original on March 23, 2012. Retrieved June 4, 2012. ^ "Spartan Aircraft Company". Encyclopedia of Oklahoma History and Culture. Oklahoma State University. Archived from the original on October 18, 2010. Retrieved January 25, 2011. ^ "Tulsa Int'l Airport...The Airport Brashness Built :: TULSA AND OKLAHOMA HISTORY COLLECTION". cdm15020.contentdm.oclc.org. Retrieved 2017-08-07. ^ "Military Air Force Plant No. 3 Tulsa, OK". Global Security Website. ^ Arnold, Kyle (June 29, 2014). "Tulsa's Aerospace History". Tulsa World. Retrieved 11 November 2014. ^ "Airlines and Aircraft Serving Tulsa Effective November 15, 1979". Retrieved 11 November 2014. ^ "Tulsa Air and Space Museum". Yelp. Retrieved January 28, 2011. ^ "Tulsa International Airport to Begin Concourse B Renovation" (PDF). Tulsa Airport Authority (Press release). July 15, 2010. Archived from the original (PDF) on January 24, 2011. Retrieved February 4, 2011. ^ a b c Dobberstein, John. "American Airlines' Maintenance Hub in Tulsa Moves toward Profitability with Vision 2025 Funds." Journal Record March 9, 2006. Accessed November 14, 2016. ^ Lufthansa Technik Component Services Retrieved May 11, 2014. ^ "Allegiant schedules additional new routes in 2Q19". Routes Online. January 2019. Retrieved February 26, 2019. ^ "American expands domestic network in 1H19". Routes Online. October 2018. Retrieved October 14, 2018. ^ "Tulsa, OK: Tulsa International (TUL)". Bureau of Transportation Statistics. Retrieved February 26, 2019. ^ "Air Service Stats". tulsaairports.com. ^ Casey Smith, Tulsa Airport board approves operation deal with Okmulgee Regional Airport, Tulsa World, May 15, 2015. ^ Larry Levy, Contract awarded for airport control tower," Tulsa Business & Legal News, May 18, 2016. ^ "Industrial Land Development". Tulsa Airport Authority. Archived from the original on June 20, 2012. Retrieved July 5, 2012. ^ Burt, Jeffrey (October 14, 2009). "IT & Network Infrastructure: HP Green Data Center Vision Offers Eco-Friendly Power, Cooling Technology". eWeek.com. Retrieved August 29, 2011. Shaw, Frederick J. (2004), Locating Air Force Base Sites History's Legacy, Air Force History and Museums Program, United States Air Force, Washington DC, 2004. This article based on this article: Tulsa_International_Airport from the free encyclopedia Wikipedia and work with the GNU Free Documentation License. In Wikipedia is this list of the authors .